• Do I have to register an account before make any purchase? Please sign up as registered user and enjoy your first purchase with Popular Online. • Do I have to pay for registration fees as a user? No registration fees charges for sign up user. 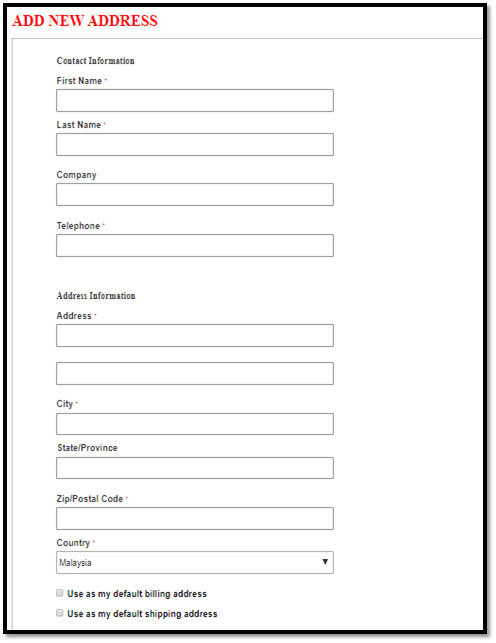 A valid email is applicable for signing up an account. 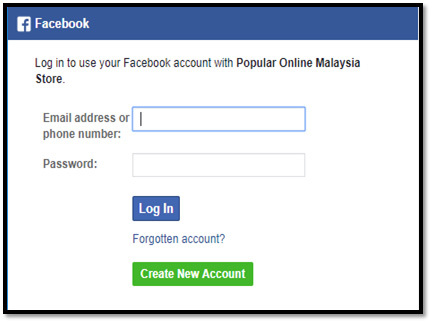 • How to register as a Popular Online User? Click on the top right of the page "Register"
• How can I Purchase Product? Note 2: To delete a product, click "X". To change the purchase quantity, enter the number on the space and click "Update Shopping Cart"
Note 3: Enter your shipping ZIP Code and click "Estimate"
※Each order is applicable with one coupon code only. 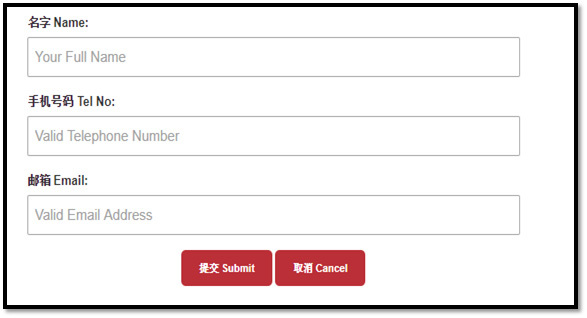 ※Please take note on your “order number”, to let you check on your order status at any time. Step 1: Click "My Order"
※Reminder: To check your order status, kindly log-in to your account. • Can I use Singapore Popular Member Card at POPULAR Online Malaysia? Yes, it can be used at POPULAR Online Malaysia. • What are the benefits of Singapore Popular Member Card at Popular Online Malaysia. You will enjoy standard privilege as Popular Member Malaysia. • 10%* storewide discount, except for promotion and nett price items. • 20%* discount on Popular Choice, Popular Recommendation Titles and selected member promotion. ※All member price as indicated on item product pages and final discount price will as indicated as check-out page. • How to link my popular member card? Step 1: Click "My Account"
Step 2: Click "Link My Popular Card"
Step 3: Fill in the Member Card number and IC / Passport number and click "Submit"
• When I want to link my card, why the system shows “invalid card detail”? • My member card is going to be expired, can I renew it online? Sorry, Singapore customers cannot renew membership cards through online. But, if you want to do so, you may apply at the nearest popular outlet. 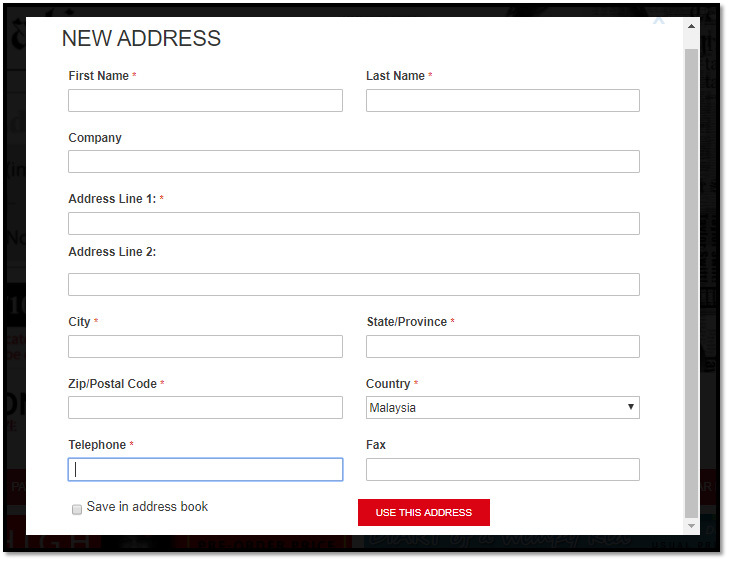 • Can I apply for a Malaysia Member Card online? 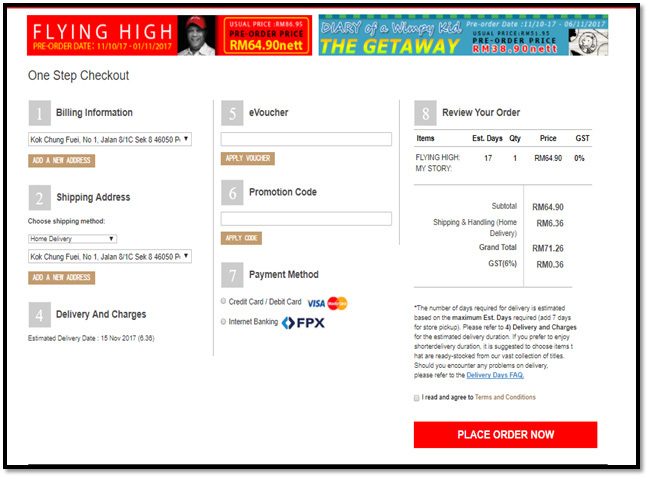 Sorry, Singapore customers cannot apply Malaysia membership card online. But, if you want to do so, you are recommended to go to the nearest outlet. • Can my Popular membership card link to different account at the same time? A membership card can only be link to one account. • What should I do if the status of my Member Card that I have linked before already expired? If your card is already expired, you have to go to the nearest popular bookstore to renew your membership card, and re-link again. • What is payment method accepted at Popular Online? Popular Online currently accept [Debit Card and Credit Card], issue by VISA and MASTER CARD. • Can I use all type of credit card, from any bank? 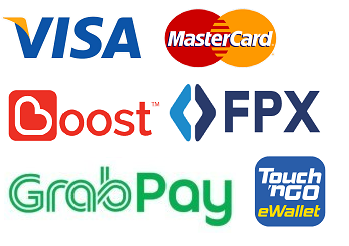 Popular Online currently accept VISA, MASTER CARD payment only. • How my order or payment currency being calculate? Popular Online product and postage calculation is in Malaysia Ringgit. The payment total or refund is based on the current exchange rate, it is recommended that you can check with respective credit card issuing bank. • Is there any tariff for overseas shopping? Each country has its import tariff provision. When the goods arrive the import country, that country will approve the tariff of the goods based on the category and value of the goods. Each custom can do a random inspection and approve the tariff of the goods according to local regulation. We will declare dutiable goods in accordance with its actual price. Each country has the right to approve tariff and sales tax of the goods according to its import regulation. If the country carries out sample inspection on that goods, the consumer will be responsible for that expense. If the receiver does not want to pick up his goods, then he will be responsible for the loss resulted from related expense, destruction of the goods, or return of the goods. • Is there any cash on delivery service? Sorry, we do not have cash on delivery service for the time being. You need to pay through online before we process your order. • If my order has been complete can I change the payment method? Sorry, our system currently unable to change the payment method. It is because each payment method is using different operating systems. But, if you want to change, please e-mail the details to our customer service to cancel your order, and re-order is required. • When I use my credit card to make payment, why it shows "authorized success, the order has not yet completed"? This issue cause by interrupted network or the window is closed while waiting for bank authorization and payment processing. So, although the amount of the order has been authorized by the bank, but Popular Online still has not yet process your order or payment. What you need to do is, checkout again and complete the check-out process. This will not cause duplicate charges, please rest assured. • What type of delivery option available? Popular Online have 2 options of delivery method. 【Home Delivery】and【Store Pick Up】. • How long will I need to wait for my delivery? ※During Malaysia National Public holiday, Festival season, and any unforeseen natural disaster that is beyond control by company, delivery lead time might be extend accordingly. ※For [Without Stock] items. Popular Online will place order with respective vendor from its sources origin country. But items have possibility of [Out of print] or any other reason that unable to fulfil by vendors, which will result in Sales Order need to be cancel / refund accordingly. ※For order consist of both [With Stock] & [Without Stock] items, delivery lead time would be calculated based whichever items with longer lead time. Sorry, if your order is in one order number, no partial delivery provided. If you wish to get the【In Stock】item first, you are recommended to separate the [In Stock] and [Out of Stock] item. So that we can process the ‘in-stock’ order first. • What is the delivery fees? Sorry, currently Popular Online Only Deliver to Malaysia and Singapore. • Do you have a limit of purchase for stock-pick-up? There is no limit on the quantity for stock-pick-up. But you are suggested that if you want to purchase more than (20 qty), please contact the Popular Online customer service hotline 603-8961-0048 or 603-8961-0131 to arrange the best distribution procedure. • Is there a time limit for the store pick up? Can I request re-delivery? As the Popular bookstore storage space is limited, you are suggested to collect your parcel within 3 months. If item is not collected within 3 months, item will be return back to the Popular Online Malaysia. If you are required to re-delivery your item, you are subjected to additional shipping charges. The delivery fees are depending on the delivery option. 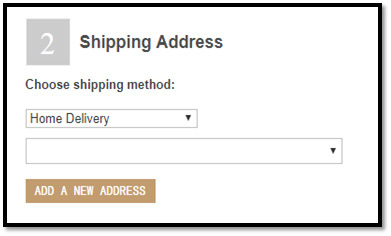 • How to change my shipping address? Step 1: Address Book Page, click "Add New Address"
• What if I notice I have wrongly key in my delivery address after completing my order? Please contact us via phone 03-89610048 (Ext:103) immediately. Shipping address will be change as per request, please be reminded shipping address could not be change after the parcel being shipped out. • If my order is part of [In Stock] and [Out of Stock] item, can I get the item for [in-stock] items first? If you wish to get the In-Stock item first, you are recommended to separate the [In Stock] and [Out of Stock] item. So that we can process the ‘in-stock’ ordering first. • I have made purchase online, yet I saw the same books available at physical store. Can I collect it at the physical store? Sorry to inform, you are not allowed to do that. 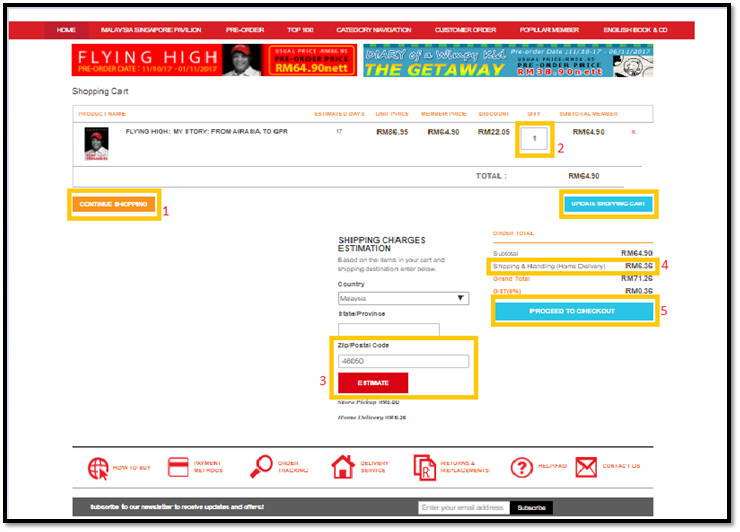 Popular Online and Popular bookstore use separate inventory account and system. Thus, you unable to collect your ordered items that is belong to physical store. Once the item is ship out, Popular Online will notify you by e-mail your order number, courier company information and courier tracking number. You can also go to [My Order] to check your order status. Or, you may contact our Popular Online Customer Service hotline 603-8961-0048 or 603-8961-0131 [Ext : 103] to check with our staff. • How do I know that my item has been shipped and arrived at the Popular Retail Store? After your parcel has shipped out, you will receive a system generated [Shipping Notice], to notify you on your parcel status. Please bring your e-mail along as verification document to collect your item. You can collect within 9 days or as per the email indicate at respective store. • What should I do when the store I selected as pick-up point has closed down or temporarily not available? After you had completed your ordering, if the original chosen store cannot provide the above-mentioned services, Popular Online Customer Service will send a notice e-mail regarding to the changes, please choose your preferred store and reply to our customer service, we will arrange accordingly. • Why I cannot find desired store for stock-pick-up? If you choose the store cannot be found in the selection bar, the possible situation includes: store interior renovation, system settings change, store information updates, new store information has not yet update...etc. (not necessarily refers to the store has stop Business), please choose other stores. Please contact our Popular Online customer service hotline 603-8961-0048 / 603-8961-0131 (Ext 103). Or you can send an Email to: ecare3@popularworld.com so that we can check and verify with related store and parcel status. ※ This is to remind you when you arrive at the store, please show the [order delivery notice] e-mail to inform the store with the "recipient's name” (please mention the name as per indicate in e-mail. ※ As your parcel is fully paid for collection, to protect your benefits and to ensure it’s a genuine collection, please present your shipping notice and identification card as part of collection verification, while you approaching to the respective outlet for your collection. • In what circumstance I can request for a return of stock? • In what circumstances my item and books cannot exchange? • For actual exchange, please contact 603-8961-0048 / 603-8961-0131 (Ext 103). We will handle depends on each unique situation. • How can I exchange a product? To made an exchange, you need to notify us within 3 days upon receiving the items, attached with damaged product, receipt or tax invoice along with order number. Our staff will do necessary verification and arrangement for the refund / return / exchange. • Where should I go to exchange the product? Once we have confirming that your item is returnable we will inform you through email to made on exchange at selected store. • When I go to Popular Bookstore I notify that the same book is available, can I just exchange there? Sorry, due to Popular Online and physical store have a separate inventory system, items are unable to exchange with physical store items. • In what circumstances, I can request for refund? • You have a valid reason to exchange, but stock unable to fulfill. • What are the refund option available? *The actual receipt time will depend on the individual bank operation. • Can I order a book that not available at Popular Online? You can place an order through our special-order service. Step 1: Click "Customer Order"
Step 3: Fill in your information and click "Submit"
• Will Popular Online help me to order immediately when I have filled up the order form? Actually, not yet. When you have submitted your order form, within 1 week (7 working days) Popular Online will contact you again to confirm the product and order details. ※After completing the order, for [Special Order] items, Popular Online will place order with respective vendor from its sources origin country. But items have possibility of [Out of print] or any other reason that unable to fulfil by vendors, which will result in Sales Order need to be cancel / refund accordingly. • How long do I need to wait for out-of-stock and special-order item? Taiwan and Malaysia order book takes 2-4 weeks. Singapore order book takes 4-8 weeks. China order book takes 7-10 weeks. Hong Kong order book takes 7-10 weeks.